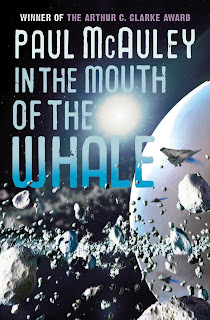 It's publication day of my new novel, and I've added a couple of pages to my web site, one featuring links to all twelve chapters I've made available, the other a brief piece on writing the novel. There's other free stuff on the web site, by the way - stories and articles, and extracts from other novels. The most interesting academic study I looked at found that writers using computers "spent more time on a first draft and less on finalising a text, pursued a more fragmentary writing process, tended to revise more extensively at the beginning of the writing process, attended more to lower linguistic levels [letter, word] and formal properties of the text, and did not normally undertake any systematic revision of their work before finishing". Across the Thames to Borough High Street and the Roxy Bar and Screen for a showing of North Korean monster movie Pulgasari. It's by no means a good film, but it's important and interesting because it's a rare glimpse into the mindset of the famously secretive Last True Communist State™, and because one of its directors, Shin Sang-ok, was kidnapped from South Korea on the orders of Kim Jong-il, then heir presumptive of supreme leader Kim Il-sung, in 1978. The story is as simple as a fairytale, a kind of amalgam of Godzilla, Seven Samurai and Sparticus, filmed in the style of lowest-common-denominator Hong Kong Chop Socky movies. The land is oppressed by decadent rulers who confiscate the peasants' tools and cooking bowls so that they can be melted down and turned into weapons. The eldest son of a blacksmith plans to join the rebels; when his father refuses to cooperate with the authorities and is arrested, the son attempts to intervene and is likewise thrown in jail. The dying father creates a doll, Pulgasari, out of rice grains and infuses it with his dying breath; later it comes to life when a drop of his daughter's blood touches it, and starts to eat iron, and starts to grow. Pulgasari rescues the blacksmith's son from execution, the son leads a revolution that, aided by the now gigantic monster, overthrows the king and his armies. But the victorious peasants must now feed the ever-hungry Pulgasari with every scrap of metal they possess; they're no better off than before. Only when the blacksmith's daughter sacrifices herself to the monster's appetite is its rampage finally ended. Although the monster-in-a-suit was masterminded by Japan's Toho studios (Pulgasari is played by the same actor who played Godzilla in the leaping lizard's 1980s incarnations) some of the special effects are crude, to western eyes the acting is melodramatically overwrought, concentrating on big, simple emotional gestures, and the cutting is either erratically abrupt or the print I saw has been sliced down from a much longer film. Yet Pulgasari also possesses a kind of innocent charm, with the best beard-stroking villains I've seen in a long while, some terrifically detailed sets for the monster to wreck, and the kind of epic battlescenes that are possible only when the director has an entire army at his disposal and doesn't seem to have much care for the safety of his extras. But despite the simplicity of its story and message - war is a Bad Thing, mmkaay? - Pulgasari is also a weirdly ambiguous film. Perhaps it is no more than crude propaganda intended to show how the warmongering West was oppressing its population and threatening the entire world with endless war involving horrific superweapons - like Godzilla, Pulgasari is clearly a metaphor for the atomic bomb. If so, the militarised state of North Korea is just as guilty, and scenes of starving peasants butchering a horse for real and eating tree bark echo actual famines suffered by its population. Did the film's state producers fail to see these parallels, or did they know exactly what they were doing but thought that the film's audience would accept the propaganda (if that's what it is) at face value? Or did its kidnapped director manage to pull off a sly coup de theatre mocking his captors? Impossible to tell. Later, waiting for the bus outside London Bridge Station, with the Shard leaning into the winter night. What would alien eyes make of that? A monument to Western ambition and power, or a signifier of the failed dreams of the never-ending rise in profit touted by the propagandists of late-stage capitalism? 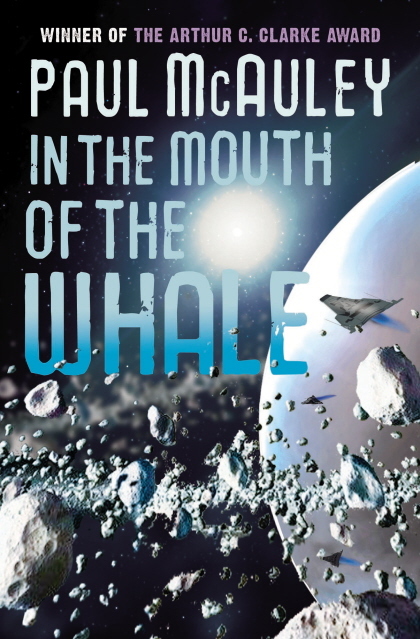 You can now read chapter 12 of In The Mouth of the Whale at the web site. Or begin at the beginning. It brings us up to the end of the first part of the novel, and will be the last I'll post for a while. Meanwhile, I have another novel to finish, and I'm getting to grips with the requirements for publishing ebooks on platforms other than Kindle . . . In other news, I'll be at the SFX Weekender at the beginning of next month, and the British National SF Convention, Eastercon, at, er, Easter.